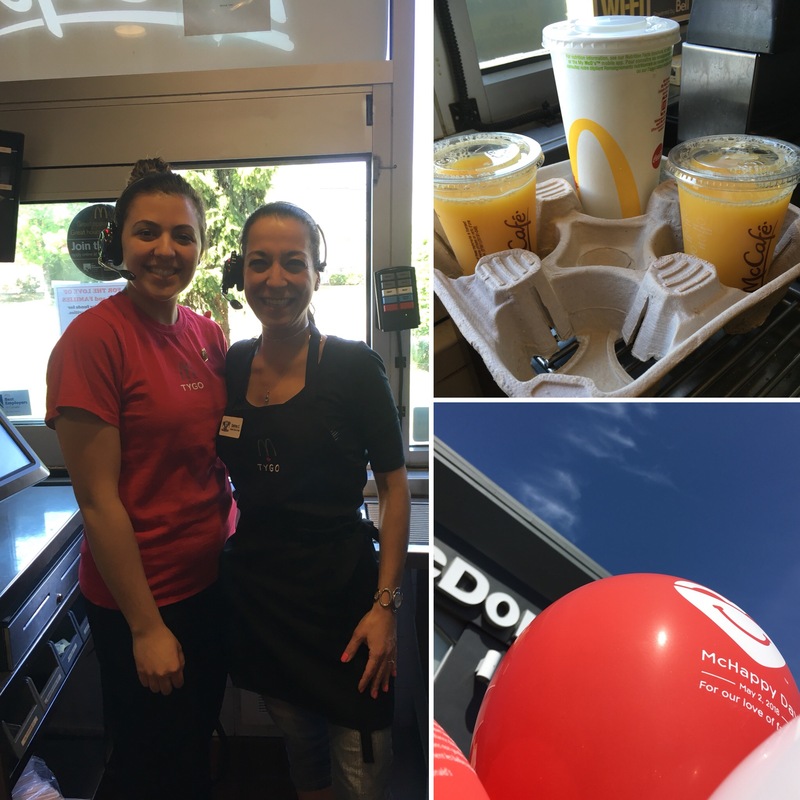 It was time to put the apron on again | Sabrina C.
McHappy Day is a one-day event in support of Ronald McDonald House Charities and other local children’s charities. 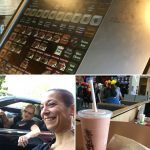 This year the McDonalds on Barnet Hwy, Coquitlam and Ottawa Street in Port Coquitlam chose to give part of their proceeds to KidSportTri-Cities. For those who know me well, KidSportTri-Cities is a local charity that is close to my heart as I can’t stop advocating for the positive effects of sport when growing up, especially in the world of today! I am not sure of the root cause but our new workforce isn’t what it used to be and I want to believe that sport can help our future. A well-balanced child should learn what winning AND losing feels like in order to better attack and succeed in business. I only had one sport when I was young – gymnastics. School gave us a taste of many different sports and it was wonderful to learn different skills, different rules and what it was to be a part of a team, but I lived & breathed for gymnastics. Nothing else! And like anyone taking this path, you lose before you win, you train hard before you get good, you keep training to be the best, and when you are right there…at the top, someone new and better comes along. It might be heartbreaking, devastating and perhaps upsetting but all of those stages and feelings build you, they help you to understand who you want to be, how hard and how long you are willing to fight and what is your threshold. While there is so much to gain by playing sports such as confidence, integrity, reliability, accountability etc. my main motivation in supporting KidSports is for the kids to earn their spot in the world, to always give and be the best they can be and to never settle for good enough. To teach them never to think that they can earn something that they didn’t work hard for and to not count the extra minutes or hours they put into the work because that’s the only way to go further than anyone else. To be stronger, to be committed and to fight. Life is not that easy, so telling our kids that they are champions without even pushing themselves just doesn’t help. It doesn’t help them and definitely not us & the future of this country. 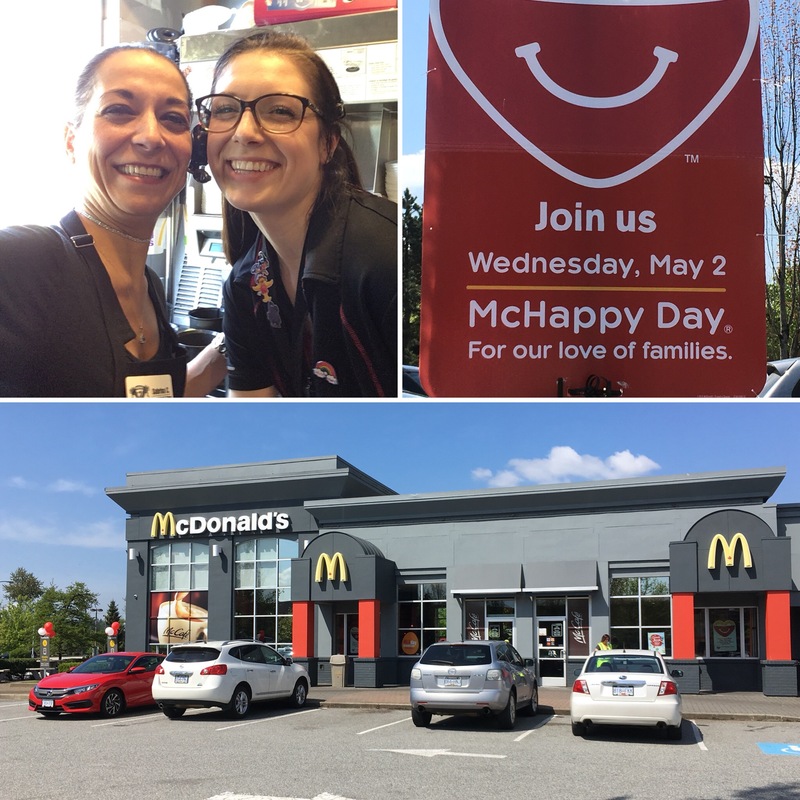 Anyway, last Tuesday I was ecstatic to take part in the long-standing Canadian tradition, McHappy Day and serve customers of the drive-through. For every Big Mac®, Happy Meal® and hot McCafé® beverage sold, $1 went towards the fundraising initiative. And while $1 may not seem a lot, the one-day national fundraiser has already raised more than $55.6 million since it started in 1977. So $1 suddenly becomes impressive and the difference this money makes is massive when you consider that it helped over 30,000 families to stay together when their children are being treated in medical facilities. 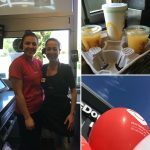 If you haven’t had the chance to participate this year or didn’t hear about it until now, please do not worry, McHappy Day will be back in 2019. In the meantime, I would recommend watching “the founder”. The film is the story of Ray Kroc, a salesman who turned the two McDonald brothers’ innovative fast food eatery into the biggest restaurant business in the world – a “saucy”, twinkling star performance by Michael Keaton which makes this movie one of the must-see entertainments available on Netflix.